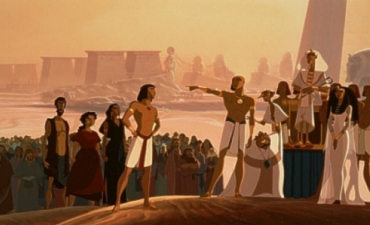 The first traditionally hand-drawn animated feature to come from the then-new DreamWorks Studio was this epic re-telling of the story of Moses. 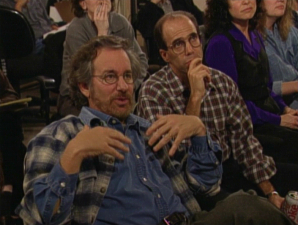 When Steven Spielberg asked Jeffrey Katzenberg what made a great animated motion picture, the ex-Disney exec mentioned the grand themes of a powerful allegory that could be related to in modern times, extraordinary situations to motivate strong emotional journeys, good triumphing over evil, the human spirit, and so on. This brought back memories to Spielberg of how he felt seeing Cecil B. DeMille’s 1956 masterpiece, The Ten Commandments, which Spielberg suggested they remade. 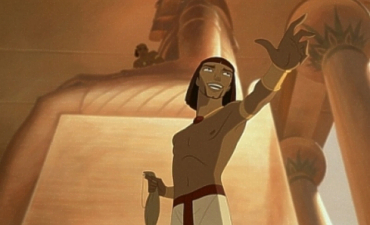 Kazenberg went for it, and the decision of the young Studio to go for something so big – and potentially hugely controversial – paid off: The Prince Of Egypt was a solid commercial and critically acclaimed box office hit. And so it should be, as on a very basic level, it was created by many of the artists and technicians who had walked from Disney when Katzenberg left, after The Lion King, in 1994. 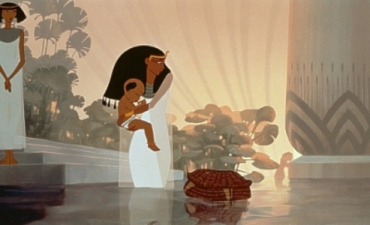 Animator James Baxter, who had given life to Belle, was “cast” as Moses, and Brenda Chapman, a story artist on Lion King, was promoted to co-director here. Steve Hickner and Simon Wells, who had first left Disney after The Great Mouse Detective and Who Frame Roger Rabbit to head up Spielberg’s first attempt at animation, the London-based Amblimation Studio (creators of An American Tail: Fievel Goes West and Balto), were also helmers. Providing the rich and deeply textured songs was Stephen Schwartz, who had brought majesty and beauty to the lyrics of Pocahontas and raw emotion to The Hunchback Of Notre Dame. This time he was also composing the music for the songs, but the task of the actual orchestral score fell to Hans Zimmer, also of The Lion King. Zimmer won an Oscar for his work on that Disney picture and has gone on to influence, score or produce the music for all the DreamWorks animated films and their biggest live-action feature films. The filmmakers were very careful to try and represent the many religious aspects in their version of the story correctly, and were ably assisted in all areas of production. The film takes a very serious tone – no comedy sidekicks here – and is reflected in the production design. This really is a film to marvel at, containing perfect use of CGI in backgrounds and props so as not to break out and call attention to the technique, dubbed “tradigital” by exec producer Katzenberg. 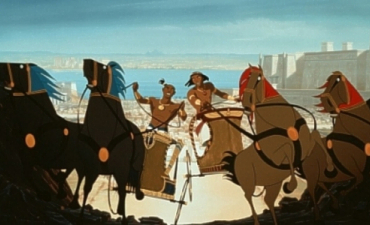 The color palette in the film is another benefit – with most colors deep and rich in color, at first highlighting Moses’ apparently clean and privileged home life as a Prince of Egypt, and then moving to show the harshness of the desert, the friendliness of his new found family, and the epic scale of the struggle ahead. Certain sequences stick with the audience – the discovery of what happened to Moses’ people, told in graphic art form using the hieroglyphic paintings of the palace walls, is one memorable highlight. The only disappointment with the movie was its running time. I thought the mid-section could have possibly been tightened slightly, allowing for more time to be added to the last reel – for a project that was launched on the basis of re-telling The Ten Commandments, the actual stone tablets seem relegated to not even a few minutes of epilogue at the film’s seemingly tacked on closing, which plays almost as an afterthought. True, the film is not called The Ten Commandments and does focus more solely on The Prince Of Egypt himself, but surely the following events, such as being lost in the wilderness for 40 days and 40 nights, also warrant a mention? I guess they couldn’t quite get away from producing a Disney-styled happy ending after all, but this is pretty much the film’s only shortcoming. 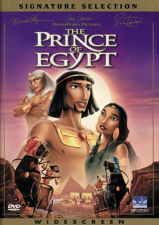 Followed by a lack-lustre direct-to-video spin-off, Joseph, King Of Dreams, it’s The Prince Of Egypt that will stand the test of time from DreamWorks biblical animation outings. People have been telling this story for over 2000 years, and they’ll still be telling it in another 2000! 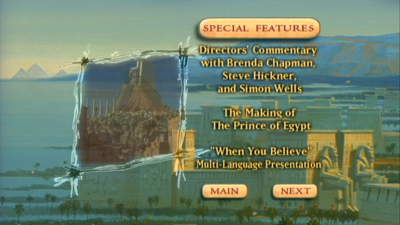 The Prince Of Egypt was one of the first DreamWorks DVD releases. Taking the lead from Universal’s “Signature Collection” line, DreamWorks created the “Signature Selection” – basically marketing-talk for a special edition. 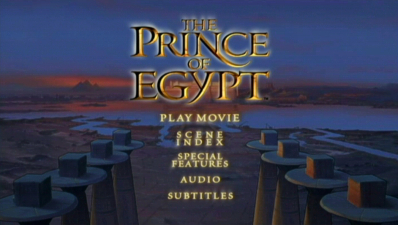 That The Prince Of Egypt was also among the final animated films released on LaserDisc should also help point out that it was also a fairly early special edition title in the whole history of the format. Gone were the days when a deluxe edition, packed with commentaries, bonus footage and still art galleries would set one back over $100 to own on LD (though, granted, in a lavish box set) – here we got all that and more for less than thirty bucks – a very reasonable deal! 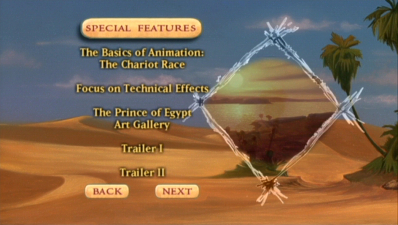 On this original release we are greeted with fabulous animated menus that take us through some of the film’s amazing scenery. Moving into supplemental material territory, and first up is the full-length commentary track with directors Brenda Chapman, Steve Hickner and Simon Wells – dry but informative, with a couple of nice anecdotes. Rounding out the package is a suitably horn-honking Making Of documentary, a couple of featurettes on the technical aspects and basic forms of animation, and a stills gallery which features a great deal of concept and production imagery. Completing the line up is a multi-language viewing of the Oscar-winning When You Believe sequence, and original theatrical trailers. A bonus back when this disc was first issued was a double-hitter sneak preview of the then up-coming movies Road To El Dorado and Chicken Run – still fun to check out and interesting in their own right! As an early issue, the disc doesn’t come with any additional DVD-ROM features, but then again, did you really want to play the set-top “Moses’ Burning Bush Adventure” game? I thought not. A two-page chapter index card includes liner notes (also on the disc in text form), while a mail-in certificate offers up the chance to send in for a beanbag camel toy. No joke. On playing the movie I found the color and contrast in the images to be top notch! This anamorphic DVD, in its original theatrical ratio of 1.85:1, really is a great transfer with a real filmic quality. The final sequence, where Moses parts the sea to allow his followers safe passage to the Promised Land, is an awesome technical achievement that combines classical hand drawn characters with computer generated water. Stunning on the big screen, the DVD handles and scales this down expertly, with all the sparkles and splashes of the waves crystal clear and rendered with fine detail. Presented in Dolby Digital 5.1 Surround, this DVD release came early enough to warrant some showing off by the compression techniques used by the engineers, and is all the better for it! The sound pumps through the air with great dynamics, ranging from a decent deep rumble, to clean top end effects. Dialogue is as usual placed center stage, with surrounds used mainly for ambient effects and music. 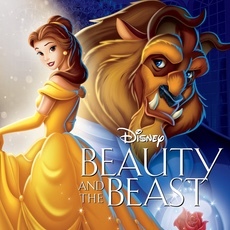 As was DreamWorks practice at the time, an alternative edition of this title, with a DTS soundtrack was released at the same time, and quite possibly contains a little extra push in the audio department, although it did not contain the wealth of extra material found on the standard Dolby Digital issue. As an early DVD release, this title does very well in loading up on bonus features. Perhaps the supplements are a little drawn out for the casual viewer in discussing the technical merits of what was being attempted and achieved, but for the animation enthusiast this is really great stuff. 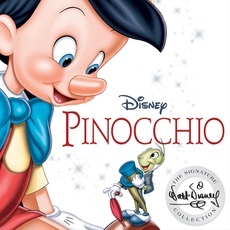 Not only is this an excellent movie, with some terrific songs and heavy dramatic moments unusually found in a mainstream animated picture, but the disc really has held up well over the years. If it is in line for a double-dip reissue, there really isn’t much else one could think to add to a package like this, save maybe for the missing music video for When You Believe, as sung by Mariah Carey and Whitney Houston, but then, I may be a little biased when it comes to Ms Carey! 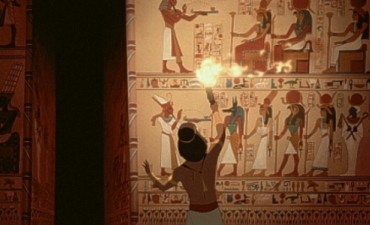 For everything else though, and if you like your animation dark and serious without mindless violence, The Prince Of Egypt delivers, and is too good to miss!